Today, Southampton City Council’s Cabinet announced its commitment to significantly improving air quality in the city by introducing the Green City Charter. 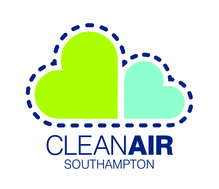 By working with a broad range of partners – including residents, businesses, community groups and other organisations - who share the council’s determination to ensure air is cleaner across the city, Southampton will lead the way in becoming a clean, green and healthy city with a thriving economy. 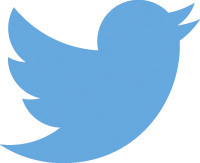 The council is encouraging opinions and offers of support for the Charter through its website. The new citywide Green City Charter will deliver actions that will improve air quality, reduce pollution and waste, minimise the impact of climate change, reduce health inequalities and create a more sustainable approach to economic growth. It will identify a clear set of objectives that are aligned with national priorities. In order to deliver these objectives, the council will work closely with businesses, community groups, residents and other organisations to make a coordinated and more pronounced effort to improve air quality. The Green City Charter will run throughout the Council’s existing priority outcomes, refresh existing commitments to the city as well as introducing new ones. It will ensure that environmental impacts are considered in the delivery of services and decision-making and, where possible, ensure we maximise the opportunity to deliver benefits. It will provide an opportunity to satisfy expectations and ambitions identified in the Clean Air Zone consultation. Cabinet is expected to formally adopt and develop the Green City Charter in March. Stay up-to-date with your city via our Stay Connected e-mail alert service. Subscribe to additional handy email updates on the things that matter to you. Choose from over 30 different topics including Library news and events, Sustainable travel, City events weekly update, Culture vulture, Community news and events, Waste and recycling and much more!